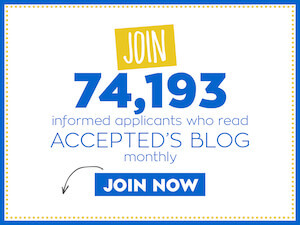 This interview is the latest in an Accepted.com blog series featuring interviews with MBA applicant bloggers, offering readers a behind-the-scenes look at the MBA application process. And now…introducing Balaji. Balaji: I’m based on out Bangalore, India. I currently work as a Program Management Analyst in a Fortune 100 company. I did my undergrad in Bachelor of Engineering (Electronics & Instrumentation Engineering) from Anna University, Chennai. I love reading fictional and history books. My favorite ones have been Dan Brown’s series and my most favorite book related to history is Glimpses of World History by Nehru. Accepted: What stage of the admissions process are you up to? Balaji: I did not start my application process yet. As I currently only have 3 and a half years of experience. And after thorough study, I thought I would require 5 years of experience to have a good chance of getting into top b-schools as the average WE is 5 years. Last year, I tried applying to one b-school to get some experience in the application process. But I was dinged without interview, and I think it was due to my WE, as I had only 2 years of experience while applying. Balaji: I haven’t decided on that yet. I wanted to stay in my field for sometime post-MBA, as I love Project/Program Management – rather to generalize I love management/operational stuffs. Also I have a plan to start my own business at some point in future. Accepted: As an Indian male in the software industry (a highly represented applicant group), you’re going to need to work hard to distinguish yourself from the crowd. What are some things that set you apart from your competition? Balaji: Yes, I belong to Indian-Male category but not in software industry any more. My previous employer was a top 15 IT service provider in the world. But as soon I was done with my undergrad, I wanted to pursue an MBA. So I avoided any software related jobs in my previous employer, so I worked as Enterprise Project Management Analyst. After 3 years working with CGI. I moved to Honeywell (here I work for Aero Division). I thought working in Fortune 100 Company will make my profile/application more visible and strong. Now moving onto distinguishing myself from the highly represented group, below are my extra-curricular activities I presently do/did during my work, undergrad and high school. A. Student Coordinator in National Entrepreneurship Network during my last 2 years of my undergrad. B. Core Cultural Committee member during my last 2 years of my undergrad – in charge/single point of contact for all technical related activities. C. Was a Sergeant of National cadet corps in my high school. D. Was a vice-captain of my high school football (soccer) team. E. Was core member in corporate social responsibility team at my previous employer. We conducted many charity and fundraiser events for orphanages, etc. F. Certified Competent Communicator and Competent leader from Toastmasters International. And also served as Vice President Education for 2 terms. G. Finally was a core member in Employee Welfare Association club at my previous employer. On Entrepreneurship: My in-law runs an event management company. I take care of the business when he is held up with other important works or on travel. And for others, there will always be room to improve from one’s own mistakes from others’ mistakes/experiences. You can read more about Balaji’sb-school journey by checking out his blog, GNPTH: My GMAT/MBA Journey. Thank you Balaji for sharing your story with us – we wish you loads of luck!